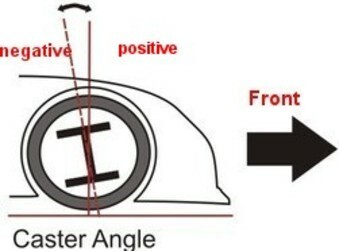 Proper camber plays an important role in the quality, stability, and performance of your car. Our technicians use the specific vehicle manufacturer angle recommendation for each vehicle they service. 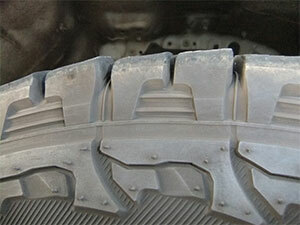 Feathering is another type of tire wear that occurs from poor toe alignment. 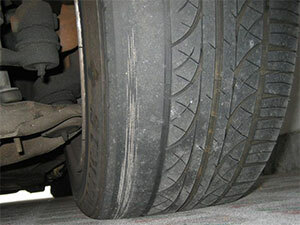 Tires become feathered when the tread is smooth on one side but rough on another. The caster allows your vehicle to drive straight with little or no steering. It also allows your steering wheel to turn back to the ‘drive straight’ position after making a turn. Depending on your vehicle, you will have a positive or negative caster. The type of vehicle you drive determines the caster settings. 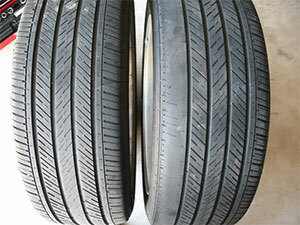 Keep your car performing its best and tires lasting their longest with proper maintenance. 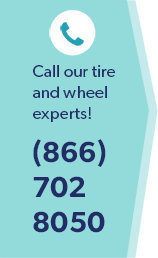 Visit one of our 8 convenient locations for your wheel alignment.